I have enjoyed an espresso in Italy, a flat white in Australia and a good cup of tea in England. 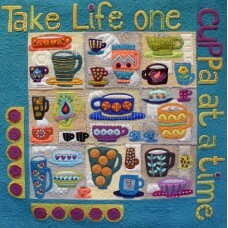 This quilt is a stitched celebration for all of us who love a really good cuppa. 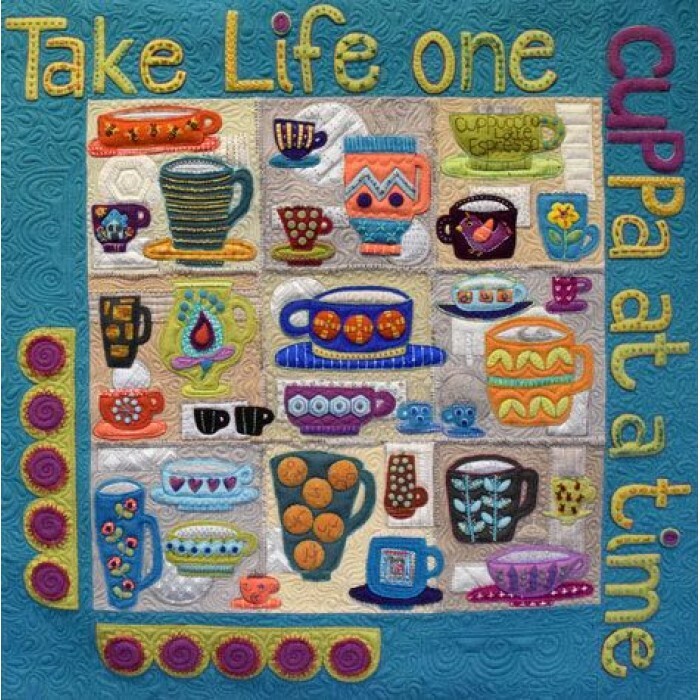 This collection of artisan-crafted cups sets the theme for this quilt - whether you enjoy a 'Cuppa Coffee' or a 'Cuppa Tea'; experience first hand a play on my love of the repetitive image. Add textural depth and dimension in this large scale, heavily embellished sampler. Each cup is stitched with an assortment of textural threads and fun embroidery stitches. There is poetry in stitch... a rhythm to handwork.